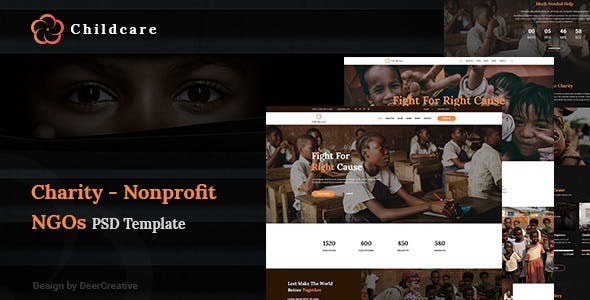 ChildCare | Non-Profit, Charity & Donations PSD Templates. Clean and Purpose oriented design will help you to make Non-Profit website quite easy. Charity is highly suitable for Charity, Crowd Funding and Non-Profit websites.